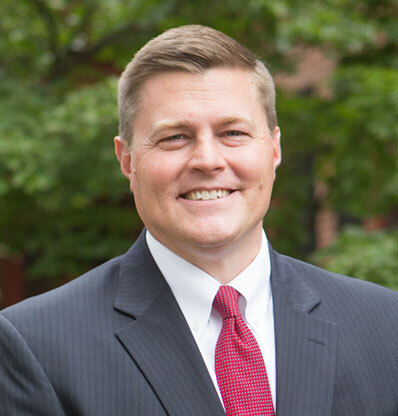 A Lancaster County native, and graduate of Juniata College and Dickinson Law School, Tim has been practicing law since 2001 with an emphasis on Estate and Trust Planning and related Business Legal Services. As a partner of Legacy Law, he counsels clients in the areas of Estate Planning, Business Succession Planning and Charitable Gift Planning. Tim’s primary focus and passion is working with individuals and family-owned businesses to facilitate the transfer of family resources in ways that reflect and promote their faith and values. With over 17 years of experience, Tim brings legal expertise filled with compassion toward his clients as he journeys alongside their transitions. Outside of Legacy Law Tim is a devoted husband to his wife, Lynell and a wonderful father and role model to his three young children Megan, Jack and Benjamin. Tim and Lynell are active in their church, New Hope Christian Fellowship and he continues his volleyball legacy by coaching his daughter’s elementary/middle school volleyball team.